15 Shops You Can't Miss in Madrid Rastro - ¡Colour Your Casa! 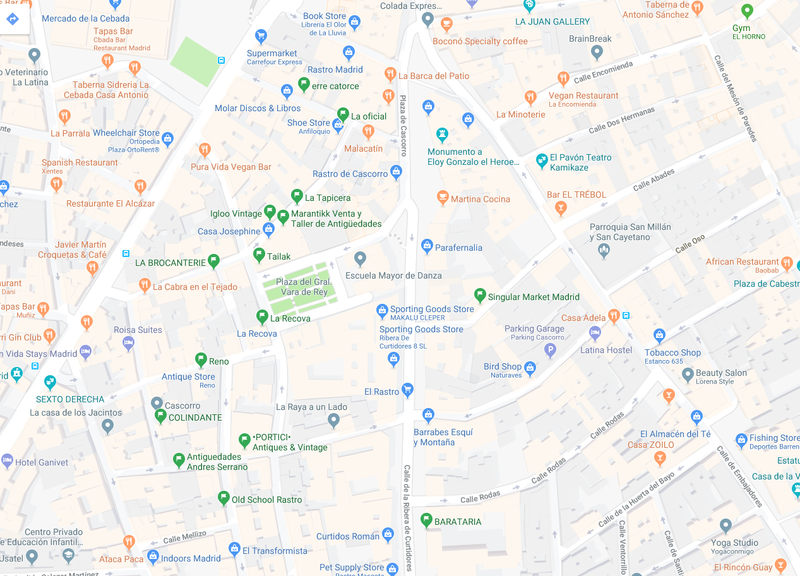 Madrid Rastro is one of the most famous flea markets in Europe, so most people get the idea that you can only go to Rastro on a Sunday. I myself was under the same misperception until I got to Rastro for the first time and discovered that the best thing about it is not the flea market as such, which they have on calle Ribera de Curtidores and adjacent streets on Sundays indeed, but all the cool shops that have sprung up in the area as a result of its inevitable gentrification. It is still packed with old antique shops “de toda la vida”, but some old junk dealers are leaving their premises to hip and modern design shops carrying the sticker “Recommended by AD magazine”, which offer a carefully selected combination of vintage/antique items and the works of contemporary designers. And they are open on week-days and Saturday too, although most of them (if not all) have a day off on Mondays. 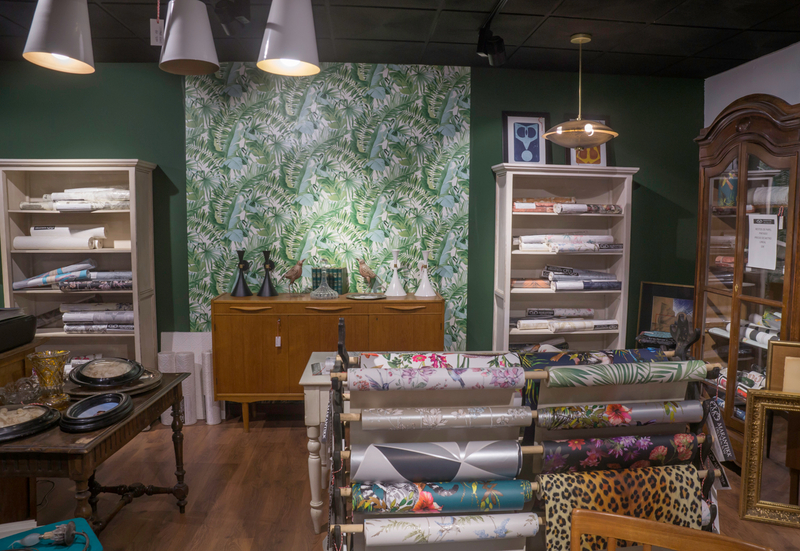 Marantikk is a 250 sq.meter space packed with antiques and vintage furniture and a great selection of very trendy and very beautiful wallpapers – floral, botanical, geometry patterns. 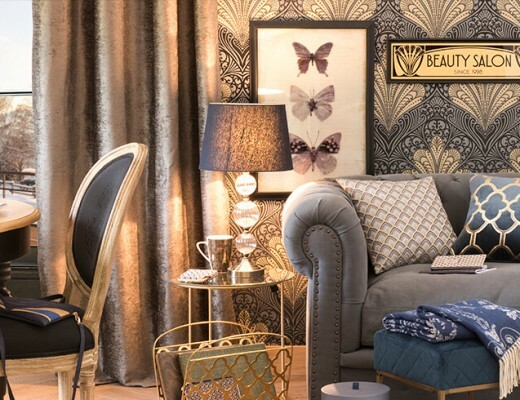 Statement wallpaper is a trend, remember? Also, they offer a variety of own-design brass lamps, including custom orders. 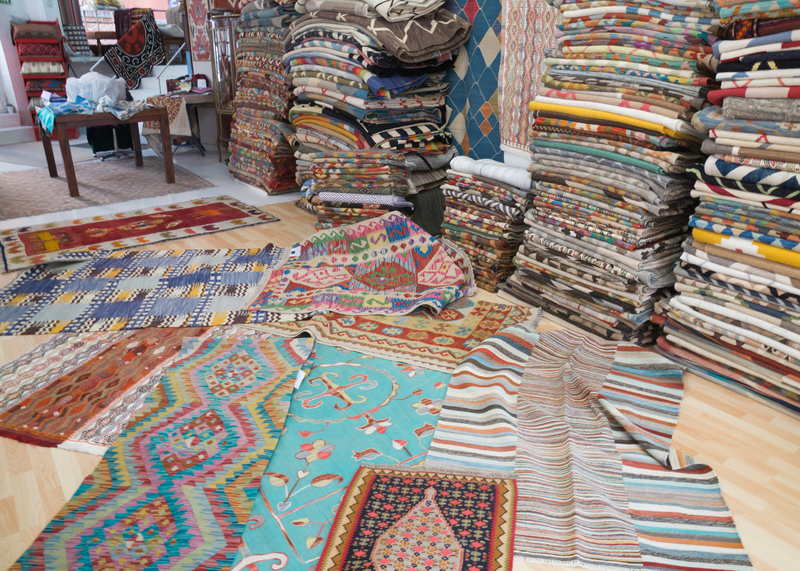 A huge selection of rugs and home textiles from Central Asia – Afghanistan, Iran, Pakistan and other countries of that region. Pretty much whatever style, size or colour you’re looking for, you will probably find it here. If you think that mid-century furniture is boring and looks all the same to you, just pop into this place. Guys from La Recova constantly travel across all of Europe to hunt really rare and beautiful vintage pieces – tables, plant racks, bar cabinets and so on. And best news is that they choose volume over margin, so prices are really affordable! 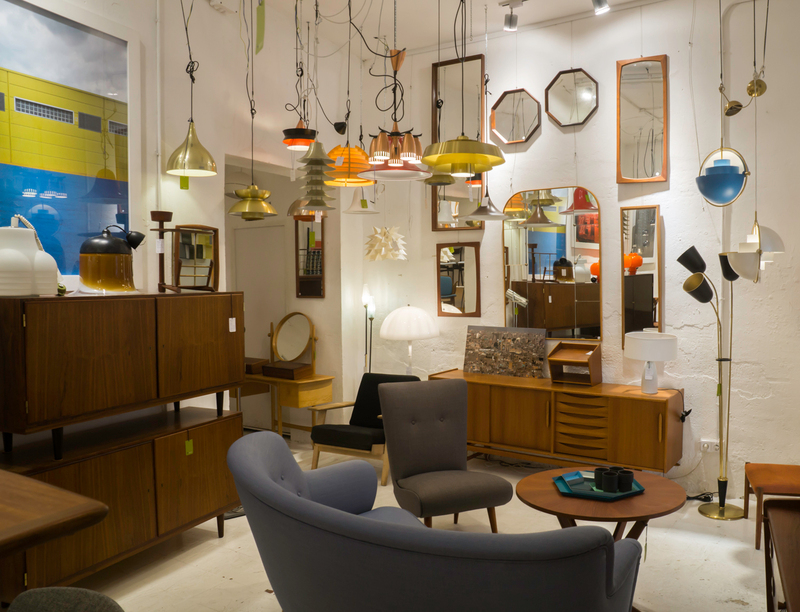 Also, don’t miss La Recova’s other shop in Chueca (calle Pelayo 62), which is mostly dedicated to mid-century furniture from Italy. 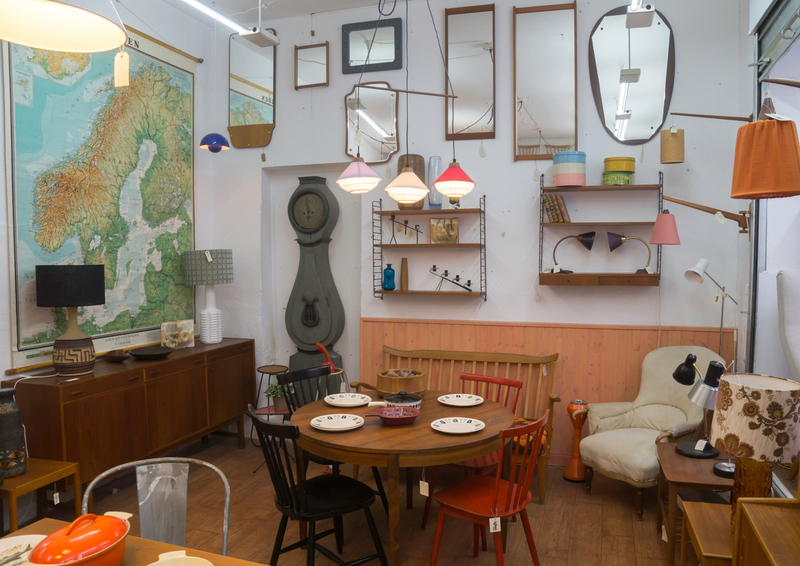 A small, but very authentic shop of Nordic furniture and decor from 1940s, 50s and 60s procured from Sweden. 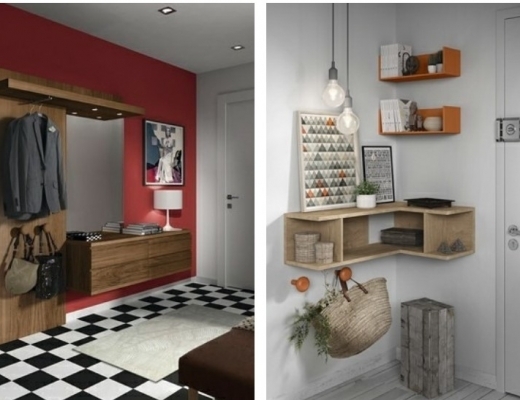 Functional and durable design, warm colours, noble wood. If you find Nordic minimalism inspiring, you cannot miss this place. Founded by designer and restoration artist Santiago González, Colindante reflects his commitment to the principles of sustainability. 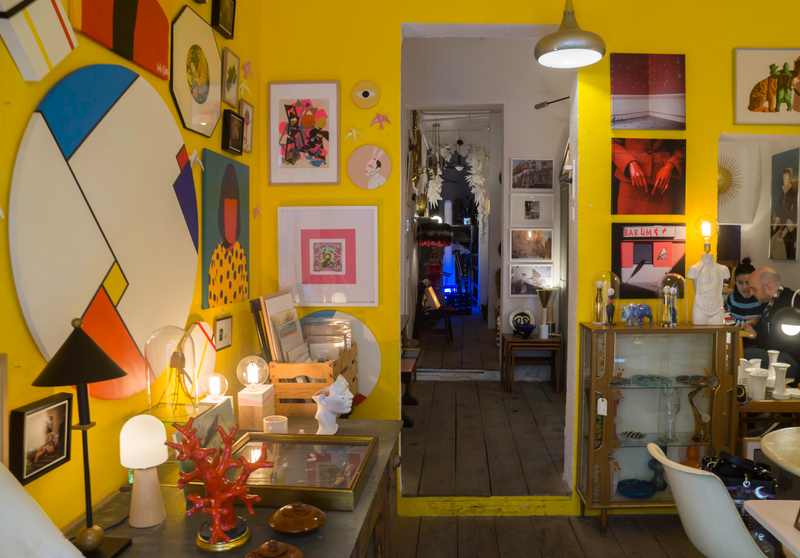 His own designs – mainly jewelry and lamps – are made from recycled materials, but apart from that, the shop showcases the works of numerous other photo, graphic and ceramic Spanish artists along with some beautiful vintage pieces. If you like cheerful upholstery, this is the place for you. You can bring in your old furnishings in need of upholstery or choose from one of the many ready-made pieces available. 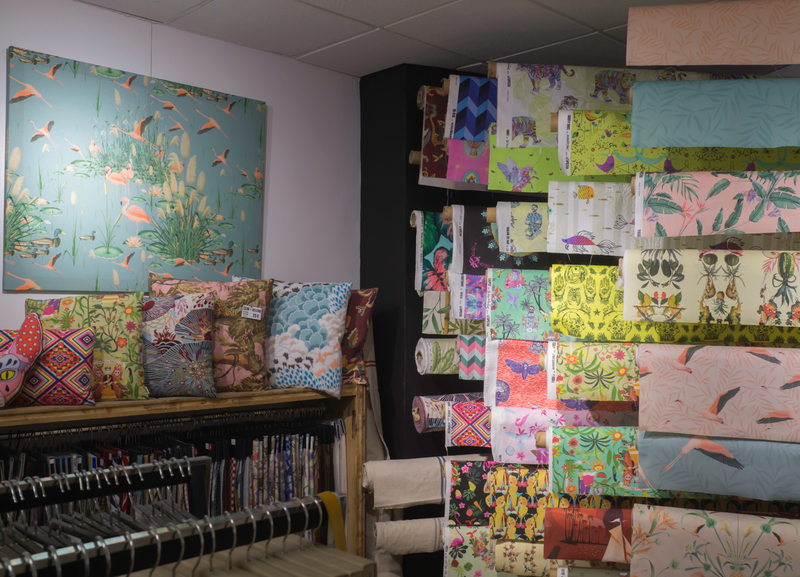 Their fabrics are imported from the U.S. and Japan, but prices are very friendly, and there is also a lovely selection of cushion covers. Opened last year, this shop is a mix of industrial and artisanal influences brought to life at the company’s factory in León (Spain), which allows keeping prices affordable. If you dig the American industrial aesthetics, this is definitely the place for you. The highlight of the shop for me is a great selection of lighting and bar furniture. 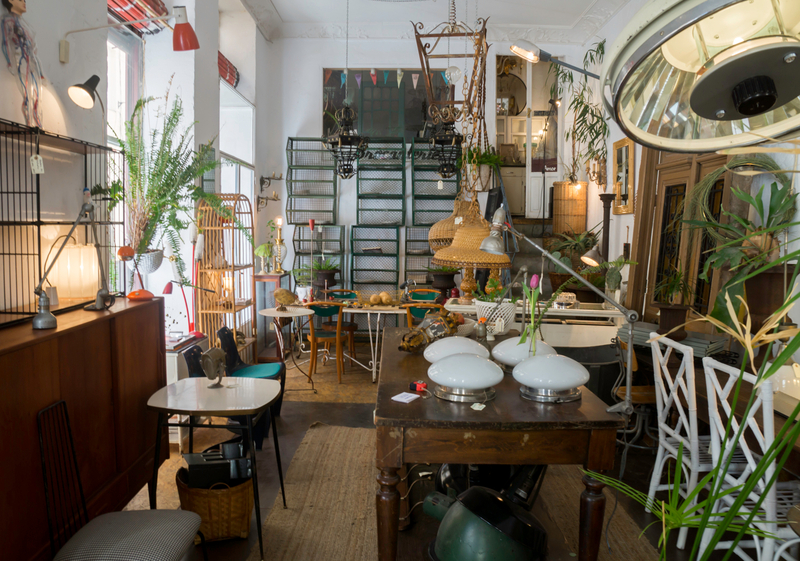 An absolutely charming shop with vintage furniture and decor with an industrial touch mainly sourced from France, contrasted against lush plants and charming pieces such as Manises lamps. The shop next door with Nordic vintage furnishings is from the same owners. Reno is a true paradise for lovers of Nordic design. 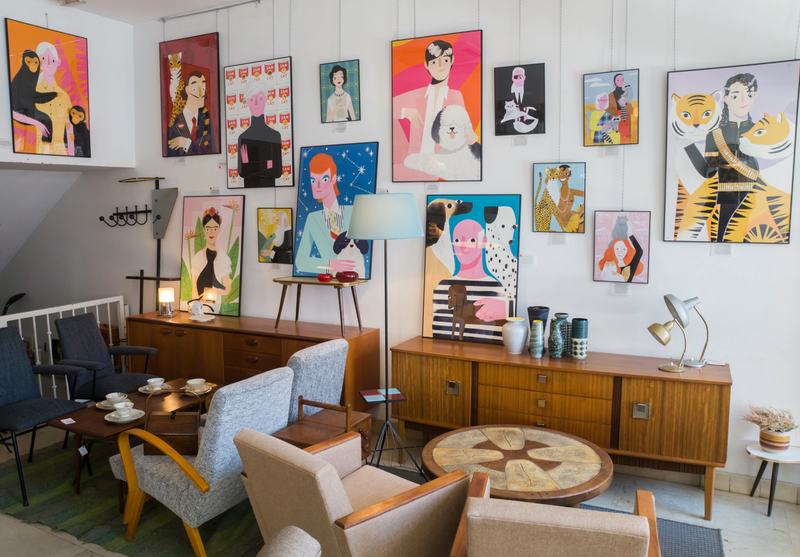 It’s both a showroom for a collection of new products from renowned Scandinavian brands, and an antique shop under the same roof. They also have a great selection of lamps and contemporary artwork. 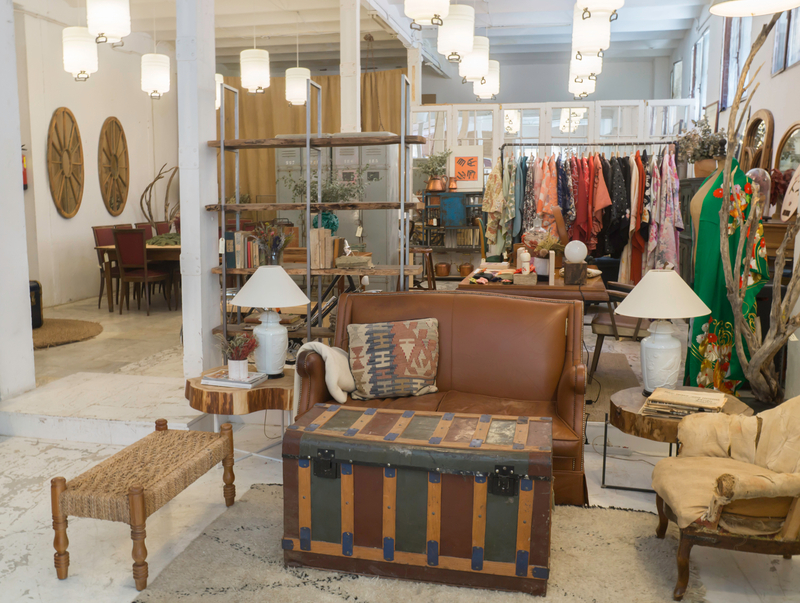 Another Rastro shop mixing vintage mid-century pieces, such as a gorgeous Johanes Andersen armchair, with the works of contemporary Spanish designers, some of them very quirky such as Curro Rubira and his Chinese Mickey Mouses and fun-coloured lucky cats, or hippo-lamps from Ornamante. Erre14 also offer custom-made neon lights, and the variety of ready-available lights is pretty spectacular too! A huge warehouse packed with GEMS! 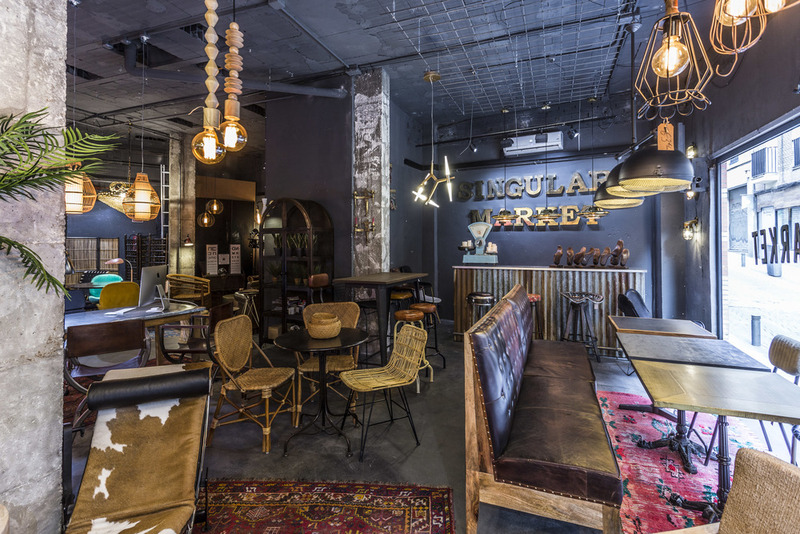 It’s very eclectic, there you’ll find decor and furniture from any age and any style – from colonial and pop-art to exotic and Nordic. 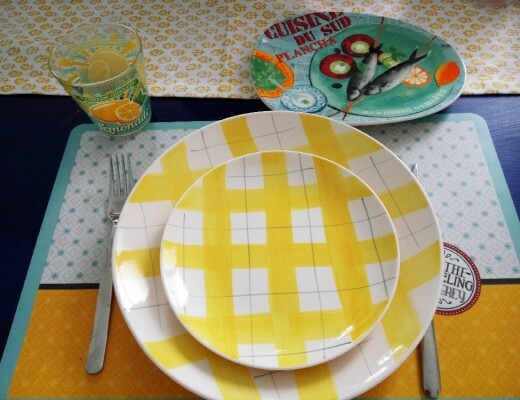 But whatever the style, every piece has so much character. 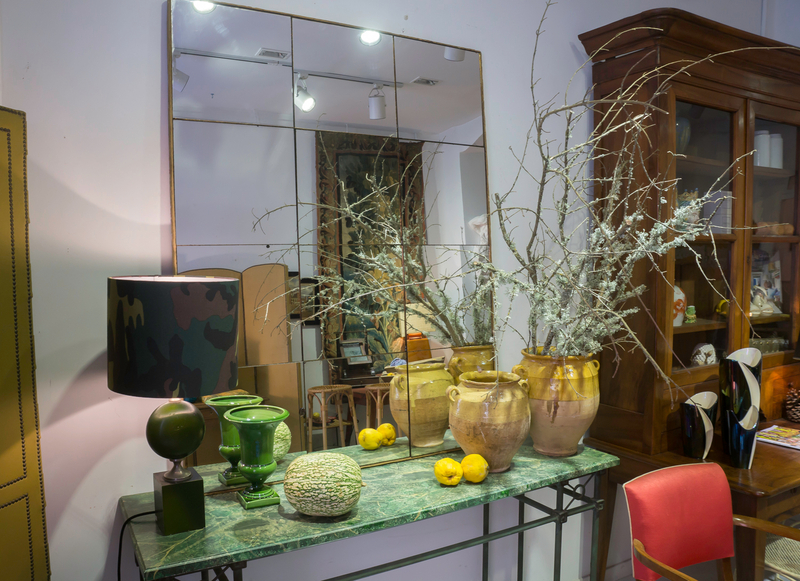 I was blown away by so many things, such as this stunning vintage mirror cased in Murano glass. 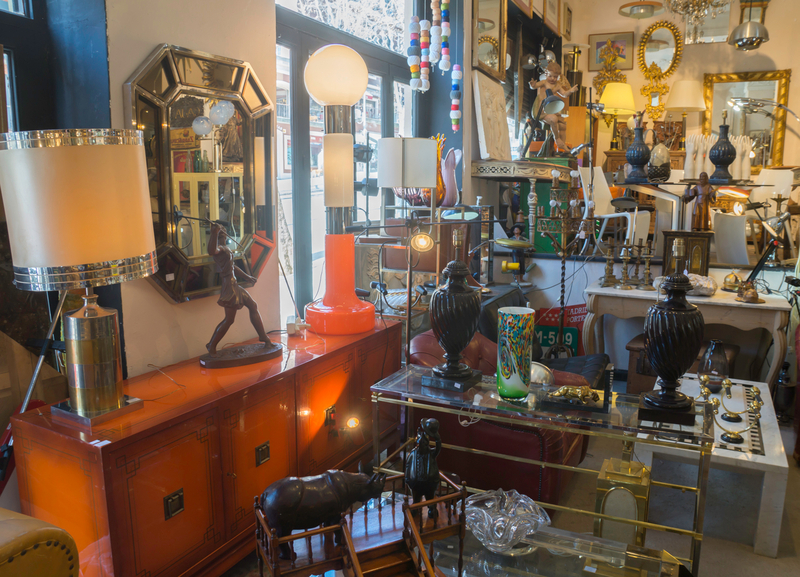 A small, yet very charming antique shop, whose owners clearly profess quality over quantity and put together a lovely and eclectic collection of furniture, decor, ceramics and even tapestry dated 18,19 and 20th century. 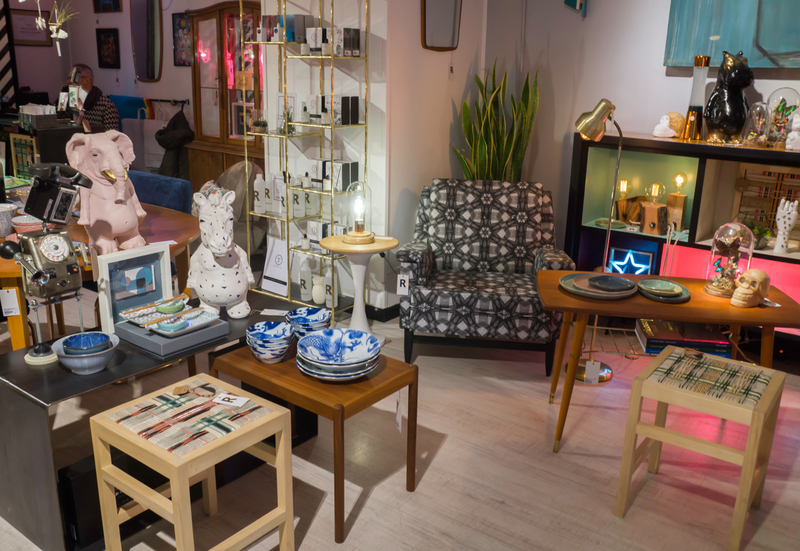 A generously sized multi-brand space showcasing the works of local designers – jewelry by María Torné, kimonos by FiuFiuus, neon lights by “We Love Neon” amid a wide range of vintage furniture and objects representing different styles and periods. The most recent addition to the Rastro area, La Oficial offers very pretty artisanal Portuguese ceramics by weight. 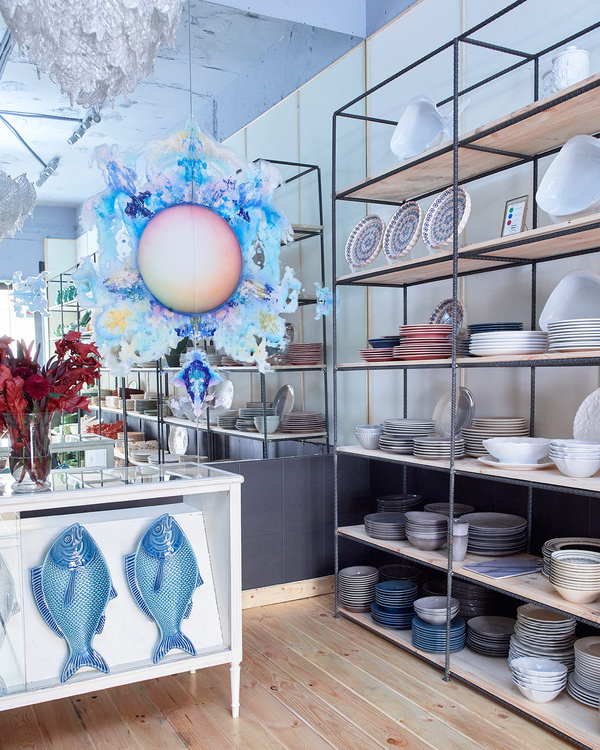 Dishware, pottery, jars – Portugal is famous for its ceramics, enough to remember Bordallo Pinheiro, so no wonder that the shop has turned out to be a great success. 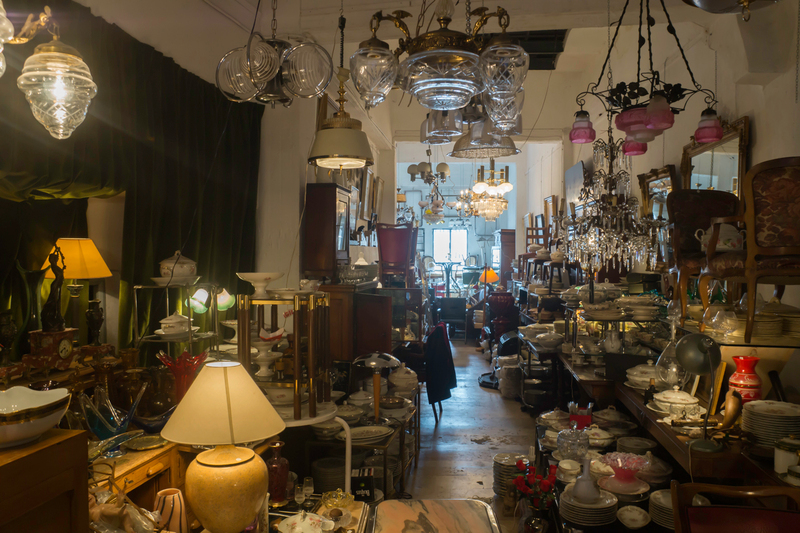 One of the dozens of old-school antique shops, you’ll find around Rastro, this one made my list because it might be one of the few (if not the only!) specializing in dishware, mostly French porcelain.